Generational poverty is a global crisis that we cannot afford to ignore. Children born into poverty are afforded few chances to break from the cycle of their circumstances. 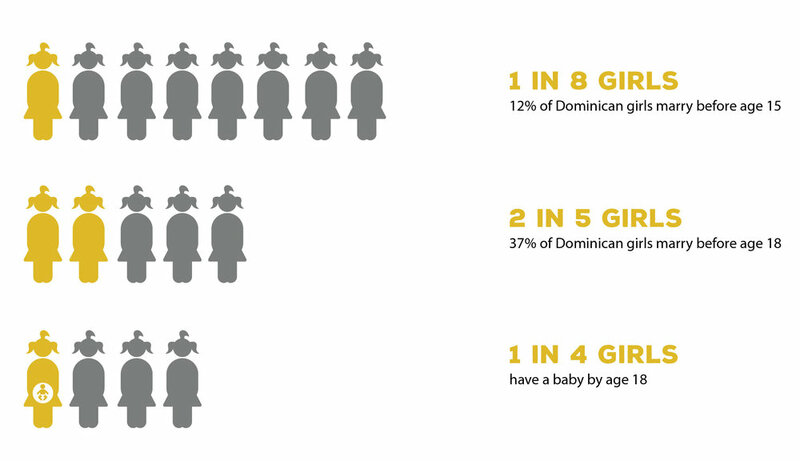 In the Dominican Republic, 75% of girls with only a primary education marry before the age of 18. When they grow up without the support they need to flourish, they have children of their own before they are ready and then, more often than not, must drop out of school and miss out on a plethora of opportunities that could improve their situations. Youth pregnancy is also an undeniable health risk-- childbirth is the number one cause of death for girls between the ages of 15-19 in the Dominican Republic. Girls are the key to breaking the cycle of poverty, and yet, they are consistently the most underserved, undervalued population on earth. At Mariposa, we know that to invest in the education, health and empowerment of a girl is to invest in the mother of a future generation. If we provide the tools, she will do the rest-- she will marry later, have fewer, healthier children, earn her own, steady income and then reinvest 90% of her earnings back into her family and community. If you want to end poverty and help the developing world, the best thing you can do is invest time, energy, and funding into adolescent girls. The cycle of poverty is breakable and the revolution begins with her.